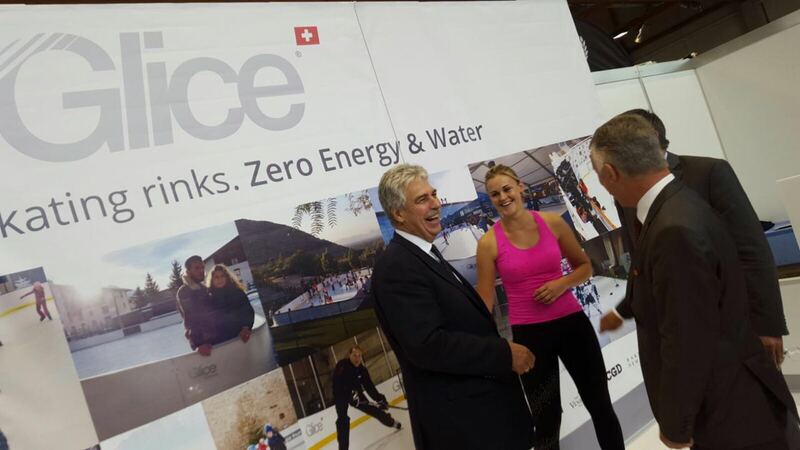 Austria’s finance minister Mr. Hans Jörg Schelling Met Glice® Synthetic ice team! Mr. Hans Jörg Schelling the Finance minister of Austria has met Glice® Synthetic ice team in Municipal trade show held in Klagenfurt Austria. 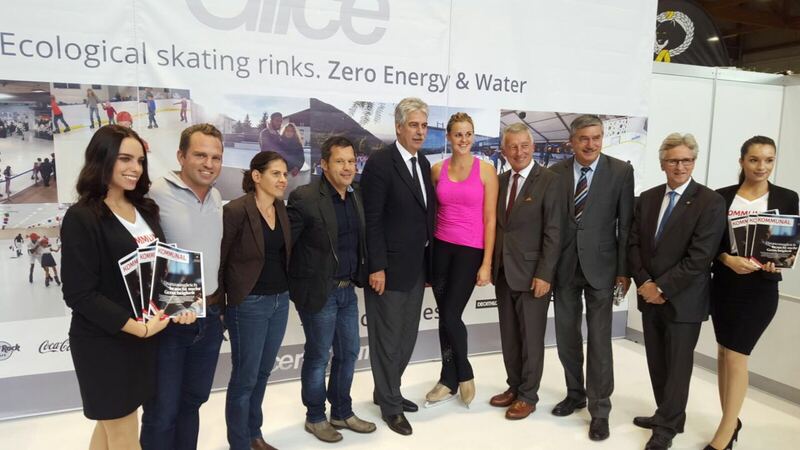 In this predominant event the Finance minister of Austria met Glice® Synthetic ice Co-founder Viktor Meier and Glice® Austria Managers Franz and Sandra. Glice® ecological ice developed the industry’s most advanced technology of ultra-glide synthetic ice offering ice skating indoor and outdoor anytime and in all climate conditions. It is both an economic and ecological substitute to conventional ice as it does not need electricity, nor water, and only a minimum of maintenance.